Decatur, AL – The Alabama Bass Trail is proud to announce two lakes have been added to the state’s popular fishing trail for 2015. The North Division welcomes Weiss Lake while the South Division welcomes Lake Martin. The additional two lakes bring the popular trail to 13 premier bass fishing lakes located throughout the state of Alabama. Weiss Lake, located in Cherokee County, is an Alabama Power Company hydroelectric impoundment covering 30,200 acres and is a major economic driver for the county. There are four free public access areas and 37 privately run marina services around the lake. 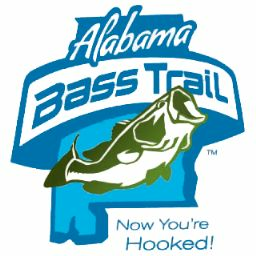 “We are very excited to become a part of the Alabama Bass Trail. It is a great opportunity for Weiss Lake and our local businesses to be associated with this statewide fishing trail. Kay Donaldson and her team of volunteers have done a tremendous job in promoting Alabama lakes and rivers. We thank Governor Bentley and the Alabama Tourism Department for seeing the potential to grow tourism and a special thank you to all of the Alabama Bass Trail sponsors who believe in this project. The Cherokee County Chamber of Commerce and Tourism looks forward to welcoming bass anglers to Weiss Lake,” said Thereasa Hulgan, executive director of the Cherokee County Chamber of Commerce and Tourism. Located in Tallapoosa, Elmore, and Coosa counties, Lake Martin is the largest lake in Alabama, encompassing over 44,000 acres. It has over 750 miles of wooded shoreline and is home to the country’s largest state park, Wind Creek. Lake Martin is a reservoir, formed by the construction of Martin Dam on the Tallapoosa River. Construction on Martin Dam began in 1923 and was completed in 1926, creating what was at the time the largest man-made body of water in the world. Lake Martin, while challenging for bass fishing due to water clarity of 10-15 feet, puts everyone on the same playing ground in search of the big catch. The two lakes will be featured online and in print with detailed information on each lake including the latest tips from professional anglers and guides, lake maps with hot spots indicated, and current weather and water data. “We are excited to bring two more outstanding Alabama lakes to the Alabama Bass Trail. Both of these lakes work well with the other lakes currently on the Alabama Bass Trail to represent the best bass fishing in Alabama. Both Chambers of Commerce and community leaders from these areas have shown interest in being on the Alabama Bass Trail from day one and we are excited to be able to add them in 2015,” said Alabama Bass Trail Program Director Kay Donaldson. For more information on the Alabama Bass Trail, visit www.alabamabasstrail.org or call Donaldson at 855.9FISHAL.